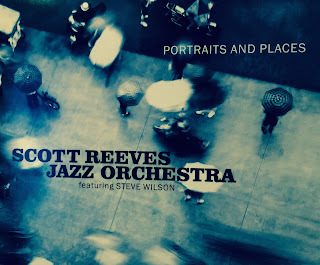 Music Man Blog: CD Review: Scott Reeves Jazz Orchestra, "Portraits and Places"
CD Review: Scott Reeves Jazz Orchestra, "Portraits and Places"
Scott Reeves is a Trombonist, Alto Flugelhornist, Composer and Educator. He has performed and recordered with some of the best Jazz Big Bands playing today like the Dave Liebman Big Band, Bill Mobley's Smoke Big Band, The Oliver Lake Big Band and the Chico O'Farrill Afro-Cuban Jazz Orchestra. In addition to all his fine performing, Scott is Professor of Music and Director of Jazz Studies at the City College of New York. He was also on the faculty of the Juilliard School. His textbooks on Jazz improvisation, "Creative Jazz Improvisation" and "Creative Beginnings" are widely used in leading colleges' Jazz curriculum. Scott put his own 16-piece Jazz orchestra together in 2008 and this CD, "Portraits and Places" is the band's 2016 debut CD. The album features seven Reeves' original tunes plus some other terrific Scott Reeves' arrangements, including the one I have attached of Jobim's "Aguas De Marco", "Waters of March". The seven original songs Scott Reeves has composed are beautifully written and brilliantly arranged. They are as close to perfect that any composer could produce. Arranging music for a big band is a feat that few musicians can ever master, but Scott's arrangements are complex but clean and flow with relaxed ease. It's clear to me that Scott gets his composing inspiration from his massive musical experience and years of study of musical composition of both Jazz and Classical music. Many years of musical education is one aspect underlying his talent but taking ones musical knowledge and turning out beautiful, complex music and big band arrangement puts Scott in a class of his own. I chose to attach Scott's arrangement of Jobim's "Aguas De Marco" to highlight his ability to take a known classic evergreen and give it a new appearance and feel. The work and effort that was required to compose and arrange the 3 movements of "L & T Suite" had to be massive. According to Scott, "Woven in the fabric of the composition are thematic quotes from Aaron Copland's "Appalachian Spring", Igor Stravinsky's "Petrushka", Leonard Bernstein's "Age of Anxiety", and Bela Bartok's "The Miraculous Mandarin". If Stan Kenton was still alive and still recording, he would surely want to use Scott Reeves' arrangements. On the lighter side, Scott's "The Soulful Mr Williams" is dedicated to the memory of the great pianist James Williams. 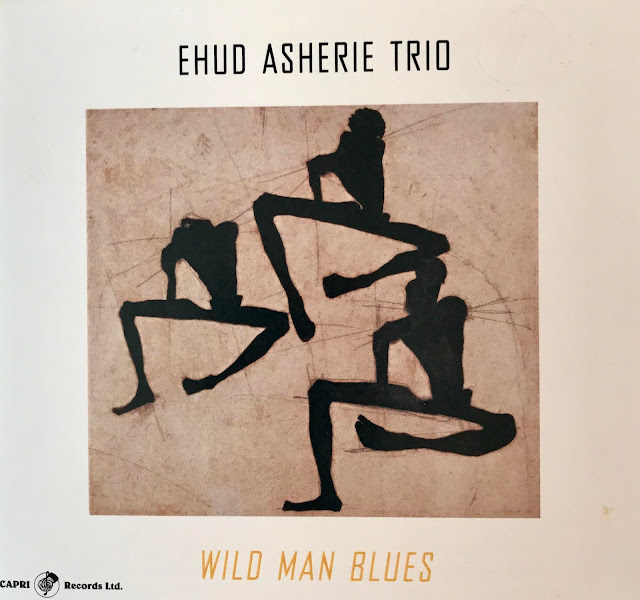 Beautifully written, this arrangement was originally done for the Bill Mobley Big Band during Scott's tenure at the New York City Jazz club, Smoke. The members in Reeves band are all outstanding, accomplished musicians. Only a musical pro would be able to execute these precise and carefully written arrangements. So there you have it, great players, great songs, great arrangements, the perfect formula for a great big band CD. 1. "The Soulful Mr. Williams"
a. Movement 1: "Who Wants to Dance"
b. Movement 2: "A Trombonist's Tale"
c. Movement 3: "Hip Kitty"
I have attached a beautiful cut from the CD that was posted on YouTube. I know you will enjoy the Scott Reeves Jazz Orchestra playing Jobim's "Aquas De Marco".